There is nothing more refreshing than a Jal Jeera Mojito (Indian Spiced Mojito) on a hot summer day. Jal-jeera is an Indian spiced beverage, which is an extremely popular summer drink in Northern India. 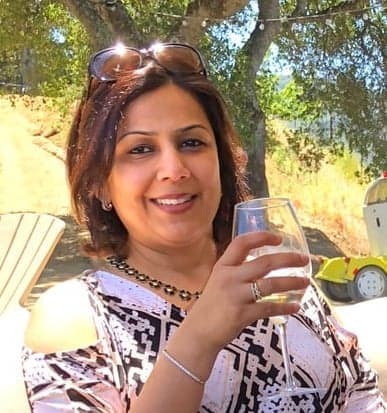 In Hindi, Jal means water and Jeera means cumin. You can think of this beverage as a Mojito spiced with cumin and other spices. I buy a store-bought spice blend, called Jal Jeera Masala, for this drink. Mix a teaspoon of the masala spice in club soda, add white rum or vodka, garnish with mint leaves, and serve your vodka cocktail on ice. 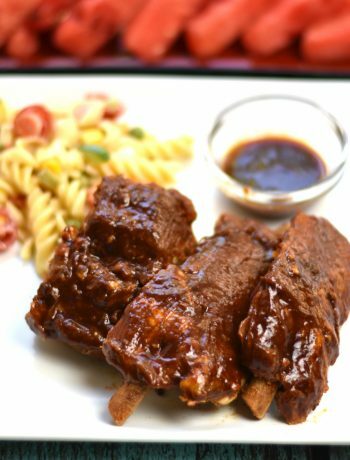 I add a hint of sweet tamarind chutney to give it a nice sweet and spicy kick. What is a Classic Mojito Cocktail? 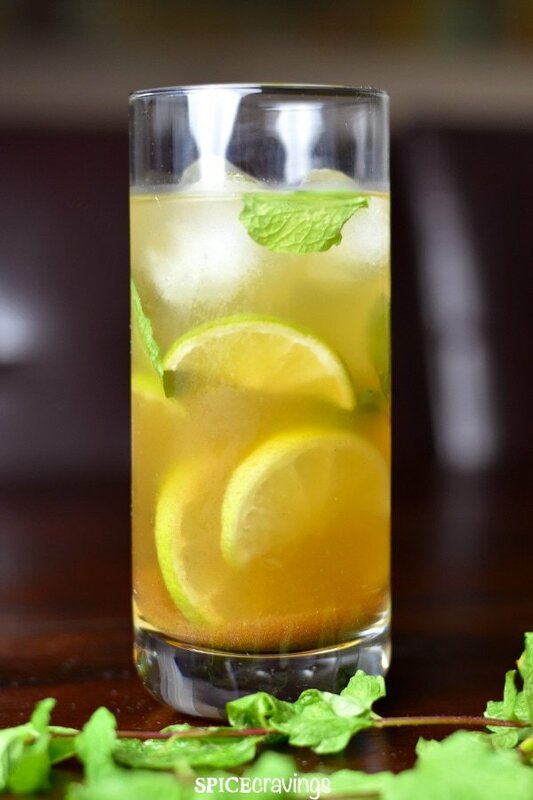 Mojito is a traditional Cuban highball. A classic Mojito consists of white rum, sugar or sugar syrup, lime juice, sparkling water or club soda, and mint. The mint leaves and lime are muddled in the glass with sugar, to release their juices and oils. Next, Rum goes in, and the glass is topped off with club soda. Due to it’s low alcohol content, and the lime and mint, it is quite a refreshing drink, and is perfect for summer parties and barbecues. Jal-Jeera is a spicy drink with lots of cumin and many other spices in it. 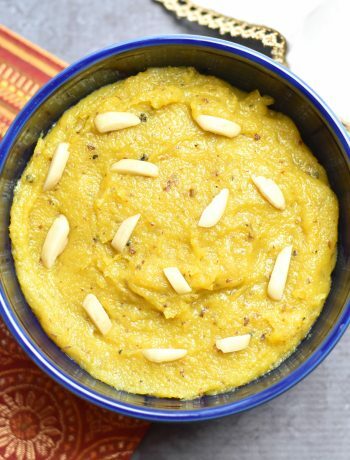 It is very similar to the spice-mix used for “Pani Puri”, a popular chaat item, yet different. Jal-jeera powder generally consists of roasted cumin, ginger, black pepper, mint, black salt, dried mango powder, and cayenne. I add a few more ingredients to get the taste just right. And as with any drink I make, I cut the calories and the carbs (carbohydrates). I use a Jal Jeera Masala Mix to make this cocktail. I get it at my local Indian store, or from Amazon. This refreshing drink is also a great party cocktail that you can make ahead by the jar full (one jar is never enough). I mix half the soda with the vodka, jal jeera powder mix, lemon juice, and Tamarind Chutney. I put the pre-mix into the refrigerator and then add the rest of the soda to the jar when it is time to serve. Just add ice into individual glasses and the jal-jeera vodka mojito. You can enjoy this drink even without the alcohol. Simply skip the vodka and mix everything as per instructions. This makes for a great drink during Diwali and Holi parties. You can substitute vodka in this easy mojito recipe with white rum or white tequila to make a rum mojito or a tequila mojito. 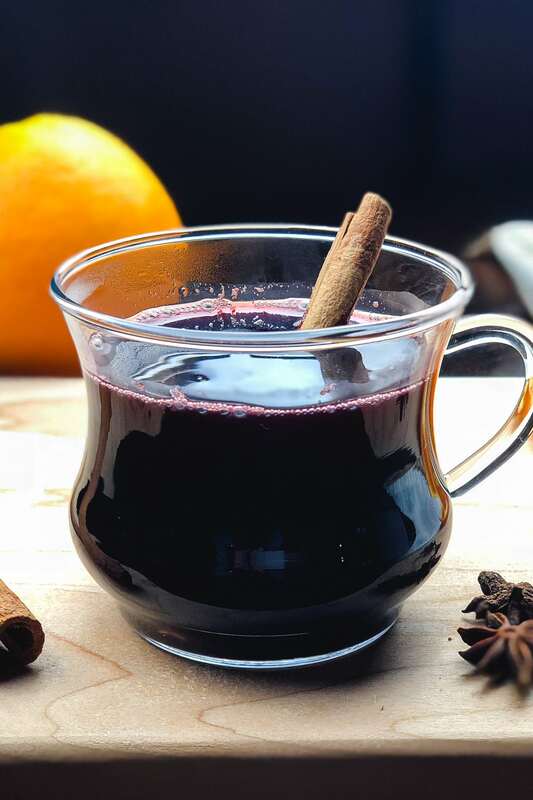 Rum and tequila have a sharper taste than vodka that gives an enjoyable contrast to the spiciness of Jal Jeera water and the sweetness of the tamarind chutney. Regular mojito’s have 2 teaspoons of sugar in them. So, not exactly great for folks on low carb diets. 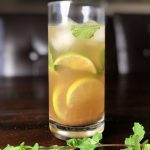 This Jal-Jeera Vodka Mojito is a very low-carb cocktail with about 1 gram of carbs, because the only carbohydrates are in the sweet tamarind chutney, which you use just a 1/4 teaspoon off. The cocktail gets all its flavor from the Indian spice mix and the touch of tamarind chutney. 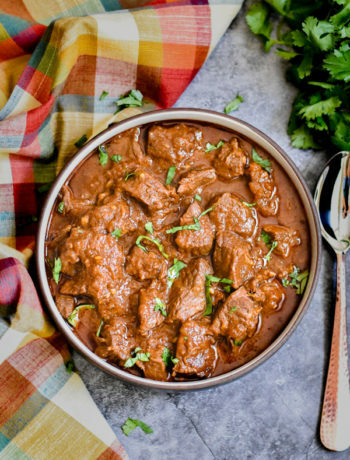 You can skip the tamarind chutney completely if you want zero carbs for a keto Mojito recipe. 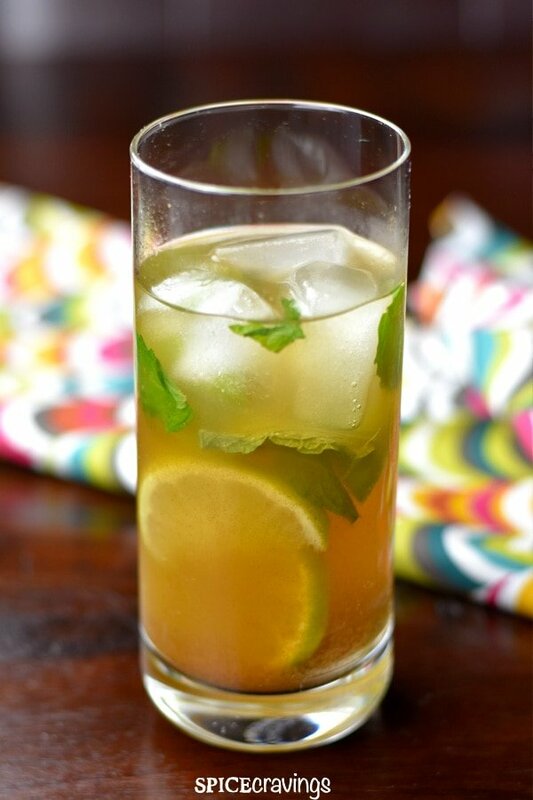 In this recipe, I pair the minty and spicy Indian beverage, Jal Jeera, with a classic mojito. There is nothing more refreshing than a Jal Jeera Mojito (Indian Spiced Mojito) on a hot summer day. Refreshing, chilled, minty and spicy! Yum! 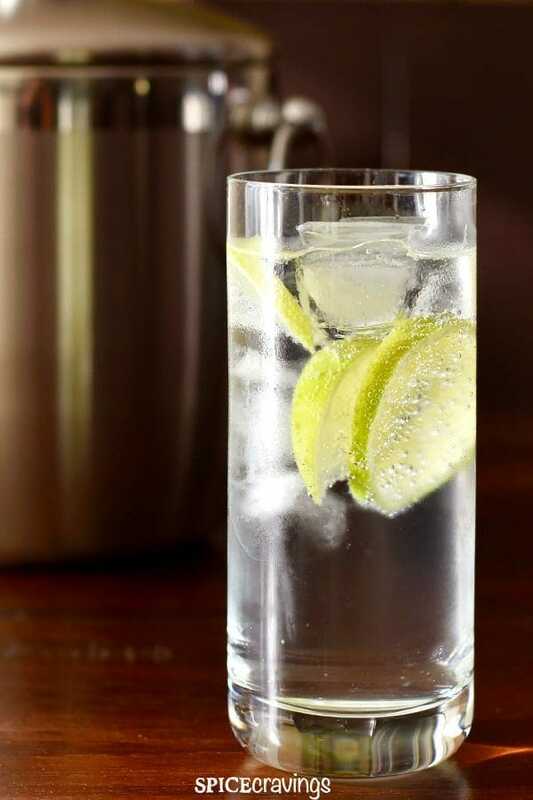 Place mint leaves and 1 lime wedge into a high-ball glass. Use a muddler to crush the mint and lime to release their oils. Add the Jal Jeera powder mix, and pour club soda into a the glass. Stir till dissolved.